Dr Gidado Bello Kumo is a well rounded educationist with a Bachelors in Education (B.Ed) degree in Islamic studies from the Ahmadu Bello University Zaria. He also possesses a Masters in Education (M.Ed) in Education Psychology and a Ph.D in the same field. He commenced his career at the National Universities Commission as an Assistant Chief Research Officer in 1997 and rose through the ranks to become a Deputy Director in 2009. 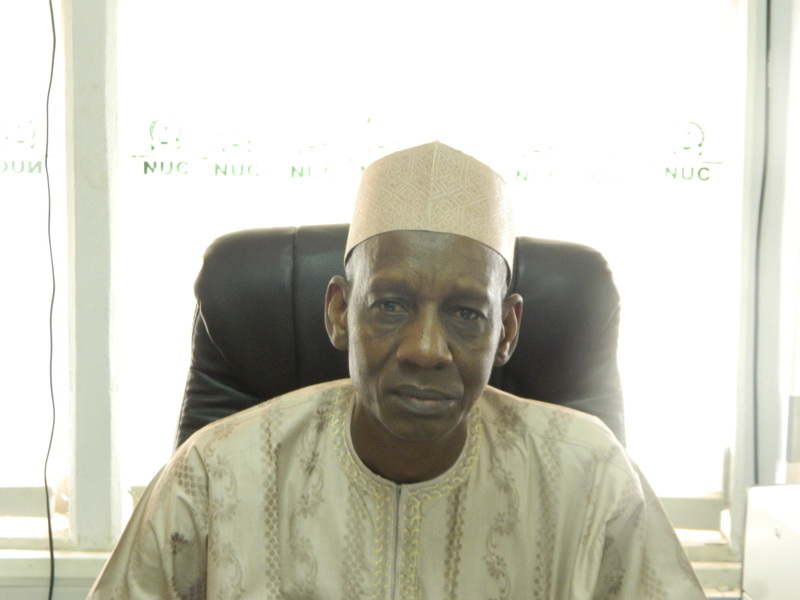 He was appointed Director, Executive Secretary’s office in 2013, a post he held until his current redeployment to the Department of Academic Standards in 2014.
to be a more effective and efficient coordinator of the development and review of minimum standards/benchmarks towards enhancing the production of globally competitive graduates in the Nigerian University System. to coordinate the setting/review of minimum standards/benchmarks for academic programmes andto develop policies and programmes towards ensuring the orderly development and quality of university education in Nigeria as well as enhancing its relevance to national development and global competitiveness. It is pertinent to note that the reorganisation has not markedly affected the job brief (save for the excision of the resource verification and Facilities and Infrastructure Planning and Development functions) of the Department which clearly remains the hub of the National Universities Commission given its critical functions. Student Industrial Work Experience Scheme. Auditors for regular checking of the accounts of the Commission. Promoting the evolution of centers of excellence in postgraduate programmes in the universities. Ensuring quality control of all undergraduate academic programmes in the universities. Ensuring periodic review of university funding policies and making appropriate recommendations to the Federal Government. Evaluating and monitoring the implementation of university education policies in Nigeria. Encourage industries to accept students on industrial attachment. Any other duty relating to programmes as may be assigned by the Executive Secretary.